The Borgata Hotel Casino & Spa is Atlantic City’s premier Las-Vegas style gaming resort and hotel. 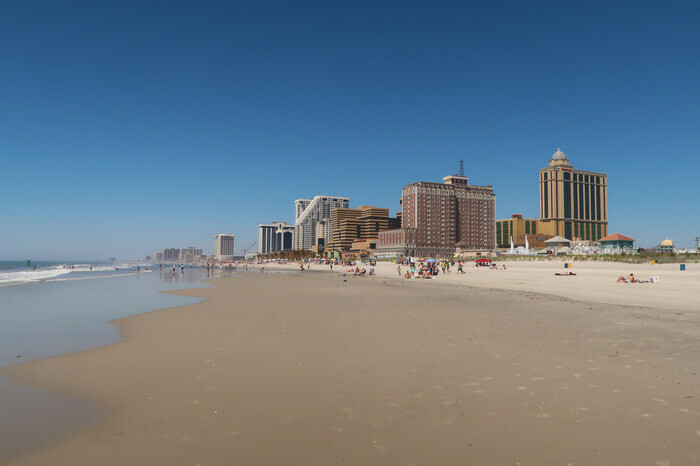 The property opened in Atlantic City’s Marina District in 2003 and has been New Jersey’s leading casino property ever since. Amenities include a 2,000-room hotel tower with a 161,000-square-foot casino. The casino itself is home to as many as 3,500 slot machines and more than 250 table games. 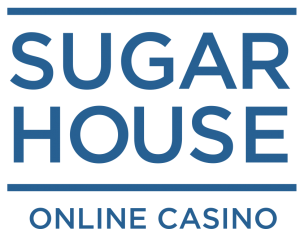 It is also home to the East Coast’s premier poker room. The Borgata has a number of world-class restaurants, a 2,400 seat event center, a 1,000-seat theater and a selection of Atlantic City’s hottest nightlife spots. There is also a 54,000-square-foot spa, indoor and outdoor pool areas, gardens, retail boutiques and a second boutique hotel tower. The concept of the Borgata was born with Steve Wynn and Mirage Resorts planning to build a Las-Vegas-style casino on land the company owned in Atlantic City’s Marina District. The hotel and casino were planned as a part of an expansion of the Atlantic City Expressway out to the marina area. The original name for the property was Le Jardin hotel-casino. The company had reportedly agreed to allow Circus Circus Enterprises and Boyd Gaming to build a casino on the site. MGM Grand Inc. bought out Mirage Resorts for $4.4 billion and became MGM Mirage. Plans to build Le Jardin hotel-casino were canceled. Boyd Gaming and MGM Mirage break ground on the $1 billion joint venture Borgata Casino and Resort at Renaissance Pointe in Atlantic City, where Wynn and Mirage had once planned to build Le Jardin hotel-casino. One year after breaking ground, Boyd Gaming and MGM Mirage announce Borgata is on schedule and on budget for its planned opening in the summer of 2003. The Borgata Hotel Casino & Spa opens its doors and immediately becomes the most successful casino in Atlantic City. It remains the New Jersey casino market leader through 2017. The casino will celebrate its 15 year anniversary in 2018. Borgata unveils the results of a $200 million expansion. The expansion includes a number of celebrity chef restaurants and the addition of more than 36,000 square feet of gaming space. 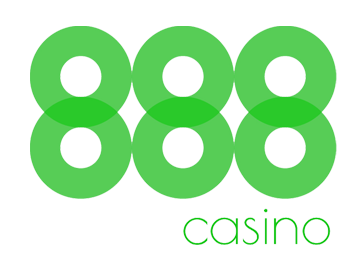 The new casino space includes 36 table games, 500 slot machines, and an increase of its poker room capacity to 85 tables. The expansion is a part of a $525 million two-phase master plan of development. The second phase includes the upcoming addition of another hotel tower, The Water Club at Borgata, expected to be complete in fourth quarter 2007. Boyd Gaming and MGM Mirage announce the official opening of The Water Club by Borgata Hotel Casino & Spa in Atlantic City. The $400 million non-gaming boutique-lifestyle hotel adds 800 guest rooms and suites to the Borgata portfolio. It completes what is then refereed to as a $600 million Borgata expansion. MGM Mirage finds itself under pressure from Atlantic City gaming regulators to either sell its 50 percent interest in Borgata or cut ties with Hong Kong businesswoman and MGM Grand Macau partner Pansy Ho. Atlantic City gaming regulators claim Ho’s father Stanley Ho has connections to Chinese organized crime figures. Rumors persist MGM Mirage is looking to get out of the Atlantic City gaming market, sell its interest in Borgata, and launch an initial public offering on the Hong Kong Stock Exchange. The rumors prove true as MGM Mirage announces it will sell its 50 percent interest in the Borgata in a settlement with the state. The company appears to be choosing Ho and an initial public offering in Hong Kong over Atlantic City. In making the announcement, MGM Mirage does not name a buyer and claims to be waiting for approval of the settlement from the New Jersey Casino Control Commission. MGM announces the NJ Casino Control Commission approved the settlement agreement under which it will sell its ownership interest in the Borgata. However, the press release making the announcement continues to claim New Jersey has no evidence Ho has done anything wrong. It also claims the company’s relationship with Ho is aboveboard. MGM further asserts no other regulatory body in the world takes issue with the company’s involvement with Ho. The company’s interest in the property is put in a trust, but never sold. Boyd Gaming becomes the Borgata’s operating partner. MGM Mirage changes its name to MGM Resorts International. MGM Resorts International petitions to take back its 50 percent ownership in Borgata and regulators appear willing to settle. The NJ CCC votes to allow MGM Resorts International to take back its 50 percent stake in the Borgata. This, after the company paid fines and penalties of $225,000 related to taking advice from a former board member previously convicted on wire tapping charges. Following MGM putting its stake in the Borgata in a trust, the company took a controlling interest MGM China Holdings Ltd., its partnership with Ho. That company was also listed on the Hong Kong Stock Exchange and Ho’s business interests were further separated from her father’s, satisfying New Jersey regulators’ previous concerns. MGM Resorts International announces it has entered into an agreement to acquire Boyd Gaming’s 50 percent interest in Borgata Hotel Casino & Spa for $900 million. MGM Resorts International completes its acquisition of Boyd Gaming’s interest in the Borgata. MGM Resorts International announces it has entered into an agreement with GVC Holdings PLC to launch New Jersey online casino and poker games under the playMGM brand by the end of 2017. Borgata Hotel Casino & Spa ditches its own Borgata Rewards loyalty program becoming a part of MGM Resorts International M life Rewards loyalty program.